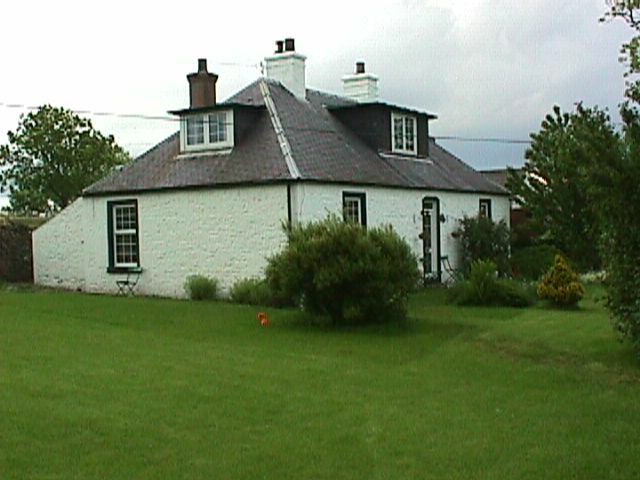 East Mains is a small traditional Angus farmhouse situated on a working farm within a 20-minute drive of Glamis Castle and Carnoustie, 5 minutes from Forfar Golf Club and Rescobie Loch. We are a member of the Scottish Tourist Board (now known as Visit Scotland) and have attained a Quality Award of 4 stars. The cottage sleeps 6. The house enjoys a fine outlook over the Angus countryside and there are some pleasant woodland walks around the farm. We have for rainy days, a games room adjacent to the house, comprising table tennis, pool and darts (darts not supplied). There is also a private tennis court nearby. Off the kitchen is the lounge, which is comfortable and spacious with recently installed wood burning stove, a real benefit in the winter months. Integral TV/Video, books and games for nights indoor. Within the house the accommodation includes a pine panelled utility room with washing machine, tumble dryer, sink and shower room off. 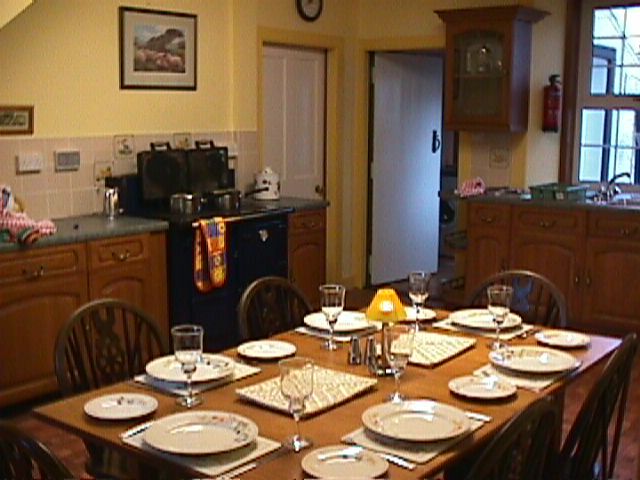 The kitchen is very spacious with fitted wooden units, an Esse oil fired cooker, a further hob and cooker, fridge, freezer, microwave and recently installed dishwasher. The main bedroom, also on the ground floor has a double bed and en-suite bath, shower and WC. Upstairs, two twin bedrooms, one of which has an en-suite bathroom. One bedroom has restricted height and is more suitable for children. The nearby market town of Forfar (3 miles) has two supermarkets, a good fish shop, and several excellent butchers offering the best of Aberdeen-Angus beef. Various well established restaurants in the town include Chinese, Turkish and Indian. Closer to home, within walking distance is Kookaburras great informal food at reasonable price high teas and dinners. Forfar also has a swimming pool and excellent ice-skating facilities, which is open at weekends all year round. The village of Letham (2 miles) is also worth a visit; it has a well-stocked craft shop with caf, a grocery store, bakery, boutique and The Letham Hotel, which offers bar meals. The village is reached via Dunnichen Hill known as the site where the Battle of Nechtansmere took place in 685 AD. Within half an hours drive of the farm lies Lunan Bay, a spectacular sandy bay which lies to the north of Arbroath also worth a visit with its picturesque harbour and world renowned smokies. We offer ample parking and welcome one well-behaved dog. For bookings and further details please contact Jane Skea at above address. Please note that the prices include electricity, oil, linen, towels and VAT. A welcome pack will include items for refrigerator free-range eggs (when available), milk, bacon & bread.